The Star Wars publishing panel at San Diego Comic Con just finished up, and a ton of exciting news and info about Star Wars books and comics was revealed. 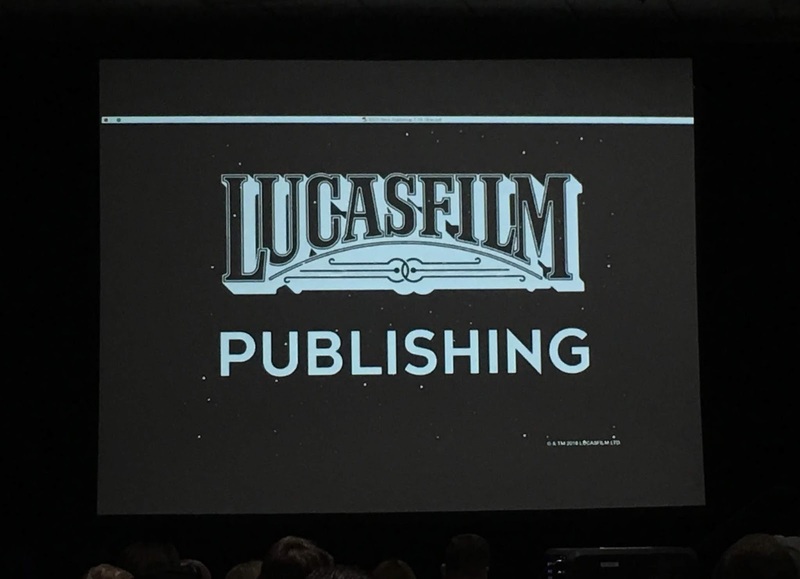 The panel includes various authors and creators including Tom Angleberger, Rae Carson, Charles Soule, Daniel José Older, Adam Rex, Katie Cook, Jody Houser, EK Johnston, Cavan Scott, Justina Ireland, Amy Ratcliffe and Timothy Zahn. All of the panelists provide fascinating insight into their craft, and we also get some thrilling announcements about upcoming literature. Scroll down to catch up on everything that happened! @Corey_WolfPack is shooting a video of this fantastic moment! Make sure to follow @TheSWU on Twitter and Instagram throughout the weekend for updates on all the Star Wars events taking place during San Diego Comic Con!